The Staunton CUSD #6 Board of Education will hold its' regular meeting on Monday, March 18, 2019 at 7:00 p.m. in the Unit Library. The Board will approve the amended school calendar for the current school year as well as set the school calendar for the 2019-20 school year. 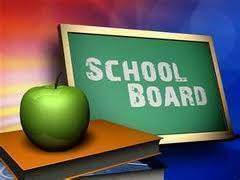 In personnel action the Board will consider the hire of two additional teaching positions. To learn more about these items and more you may view the agenda, agenda notes, and supplemental documents via the District website.